The HUGO Woman is a trailblazer, who leads rather than follows, with a passion for the extraordinary in everything she pursues. Inventive to the core, her dynamism inspires those around her. Here is a woman who seizes life, embracing all it has to offer. Originality is everything; surprise all. She is a pioneer: unique in her character, in her style, and in the scent that spurs her to live life on her own terms. Others aspire to be her. She sets the mold. HUGO Woman is a fruity, floral fragrance with an unconventional, boyish twist, combining unexpected naturals and pioneering molecules. The scent creates a contrast of tones and sensations, fusing traditionally feminine and unexpected masculine notes to redefine the conventions of female fragrances to reflect HUGO’s minimalist glamour. Top Notes - ripe boysenberry and sparkling Italian mandarin are offset by the herbaceous mountain freshness of Himalayan red grass. 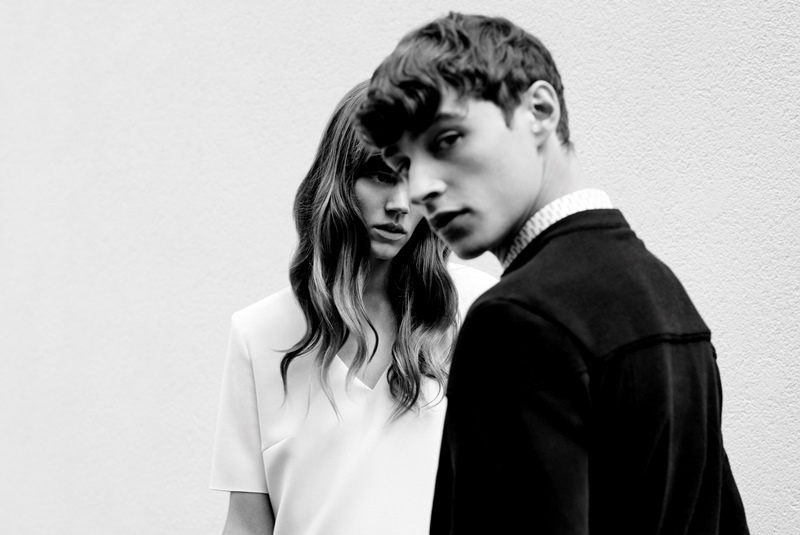 The scent’s opening speaks of uplift, adventure and the lure of the fresh experience. Middle Notes - jasmine sambac and plush, darkly fruity black plum meet the enigmatic elegance of iris and the spicy, smoky intensity of Indian black tea; the latter adding an unexpected boyish twist. 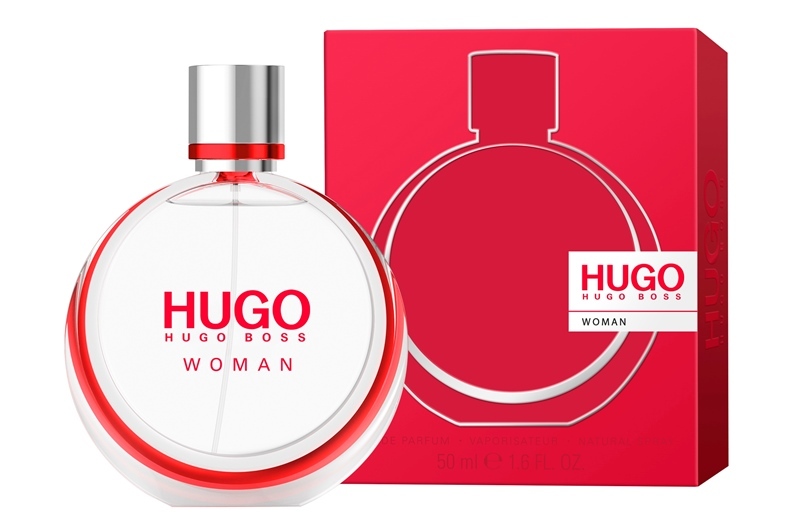 HUGO Woman’s heart is a compelling mix of heady femininity and masculine intrigue. Base Notes - the base notes are a revelation: captive woods in which shimmering sandalwood laced with cedar, is warmed by voluptuously feminine amber. The resulting dry down is riveting: its sillage is exquisitely rich, creamy and potent, with a chic contemporary dryness. Basically, the HUGO Woman flacon comprises a circle of transparent glass – sleek, with an air of minimalism - revealing a clear juice. A groove reaching around the bottle reveals a hidden scarlet ring, a discreet feminine touch, defining, yet low-key. It speaks to the individual with her own defiant style.